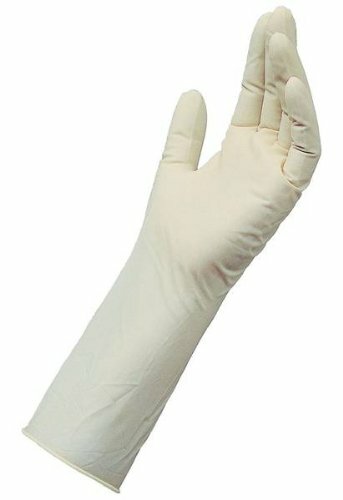 Mapa nitrile controlled environment glove. Reinforced mechanical resistance for short-term operations. Manufacturing process guarantees a very low level of contaminants: rates of particles, non-volatile residue, extractable. Compatible with ISO 5 class 100 clean rooms. 100 percent nitrile formula enables anti-static properties. Protection against accidental chemical splashes. Recommended for people who are sensitive to the proteins in natural latex. Applications: Electronics: photomask assembly, integrated circuit assembly, CD production, placement of thin layers; Health: pharmaceutical manufacturing, manufacturing of medical equipment; Laboratories: research, analysis, manipulation of precision parts, optical processes. The manufacturer is responsible for the conformity of its products, with respect to the essential requirements of the directive. General Chemical Protection EN 374. Micro-Organisms EN 374. Wrist: rolled cuff. Interior finish: chlorinated. Exterior finish: smooth with pebbled fingertips. Size: large. White color. Measures 12-inches length by 0.004-inches thickness.